While travelling with friends, relatives, parents, siblings of elder children very frequently we get this question that " Which is the best hotel in Singapore for family of 4 ?" or " I am travelling in a larger group can we accommodate in a single room?". If you also have the similar question, you have landed on the right page. After spending 4 hours and visiting various hotel websites and reading reviews on tripadvisor, I have short-listed Top 10 hotels which are most suitable for family of 4 or 5 and travelling with a larger group. Hotel should have rooms with double bed room, so that you have an option to adjust in one room only. The location of the property should be nearby the major tourist attractions and safe for families like orchard road. Don't miss-out hotels on 8 and 9 number in the list - they are truly amazing ! This Singapore City Centre hotel is located in an area popular with tourists and is in close proximity to ION Orchard, Orchard Road and Orchard Central. It offers excellent fitness facilities, including outdoor tennis courts and a swimming pool. 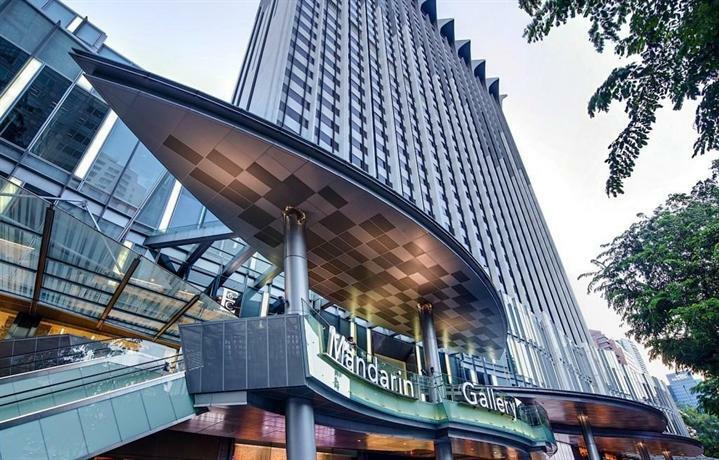 Mandarin Orchard Singapore provides complimentary wireless internet and free private parking on site. Convenient services include an express check-in feature and a luggage storage area. The rooms are air conditioned and feature slippers, a mini bar and tea and coffee making facilities. They all offer bottled water, a flat-screen TV and a laptop safe. Guests of Hotel Mandarin Orchard Singapore can enjoy a unique dining experience at the chic bar and modern restaurant. Dining options at the hotel include Coffee & Crust and Triple Three. Guests can also try one of the various bars and restaurants in the area. The area surrounding Mandarin Meritus is popular for its shopping. Plaza Singapura Mall and TripleOne Somerset are within walking a distance. Four Person Family room - starting from $1340 per night (Yes - It is damn costly, luxury doesn't come cheap ! Located in Singapore City Centre, this hotel is a 10-minute walk to TripleOne Somerset. Surrounded by local bars and restaurants, it is less than a 10-minute stroll from Somerset MRT Station. This 4-star hotel offers a ballroom, valet parking and an executive floor. It provides babysitting services, a currency exchange and a reception that is available around the clock. The air-conditioned rooms offer views of the city and come with modern luxuries such as marble bathrooms and mini bars. All feature their own bathroom with robes and amenities. The hotel's restaurant, Nogawa, serves Japanese dishes. A daily breakfast is also available to guests. 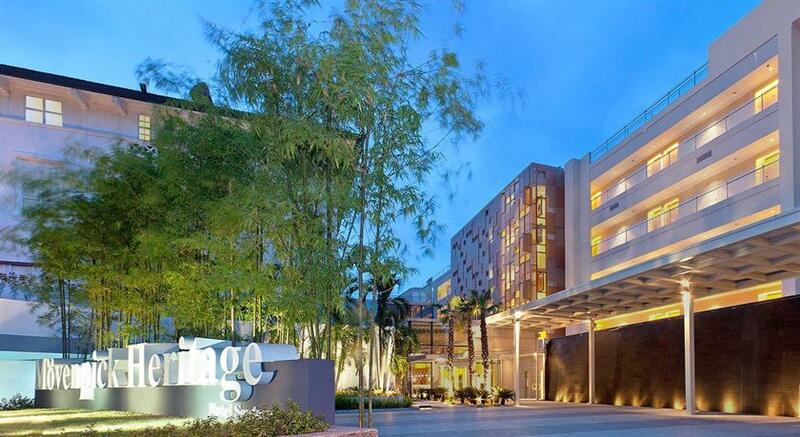 The position of Concorde Hotel Singapore permits convenient access to many tourist attractions. Guests can also easily visit the National Museum of Singapore, Singapore Management University and Fort Canning. Review rating of 8.1 - recommended for budget travellers. The hotel's restaurant, 21 on Rajah, serves local, Asian and Mediterranean dishes, well known for Indian food. Set under a 10-minute walk from Burmese Buddhist Temple, Days Hotel Singapore at Zhongshan Park offers free Wi-Fi. 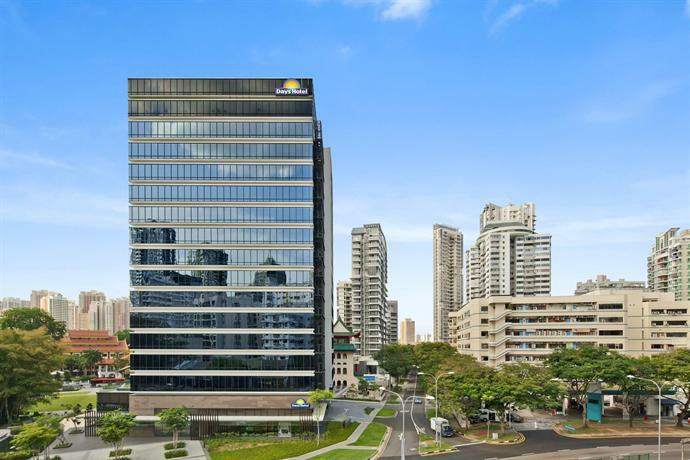 It is a 10-minute drive from Orchard Road and provides free public parking on site. The hotel features a 24/7 reception, plus a free shuttle service and an express check-in and check-out feature. For added convenience, it offers babysitting/child services, a coffee bar and a concierge. The rooms are air conditioned and include a refrigerator, an iPod docking station and converters/voltage adaptors. All offer a private bathroom, slippers and tea and coffee making facilities. The hotel's restaurant, 21 on Rajah, serves local, Asian and Mediterranean dishes. Days Hotel Singapore at Zhongshan Park offers disabled parking and is a short drive from Marina Bay and Sentosa Island. Singapore River is a short drive away. Review rating of 8.3 - recommended for mid range travellers. Excellent Location - Its Sentosa - What else you need ! Movenpick Heritage Hotel Sentosa is situated on Sentosa Island and offers 5-star accommodation in addition to a Jacuzzi and an infinity pool. It is also a short walk from Sentosa Musical Fountain, Universal Studios Singapore and Revenge of the Mummy, and is close to many of the area's popular attractions. Those staying at Moevenpick Heritage Hotel Sentosa are welcome to benefit from the relaxation amenities, which include a swimming pool. For a fast and effortless arrival and departure experience, guests can take advantage of the express check-in/check-out kiosk. All rooms are air conditioned and equipped with ironing facilities, cable/satellite channels and a flat-screen TV. There are also a number of rooms especially for families. Those staying at Mövenpick Heritage Hotel Sentosa can sit down to local and international dishes at the in-house restaurant, conveniently located for those who want to stay close by for a meal. A variety of breakfast options are on offer in the hotel's dining room. Movenpick Heritage Hotel Sentosa is situated just a 10-minute walk from Resorts World Sentosa and Canopy Flyer. The hotel is positioned within a brief stroll of Sentosa Ferry Terminal. They offer 2 rooms which are interconnected, so if you have smaller kids along and looking for a single bigger room - than this one is not for you. 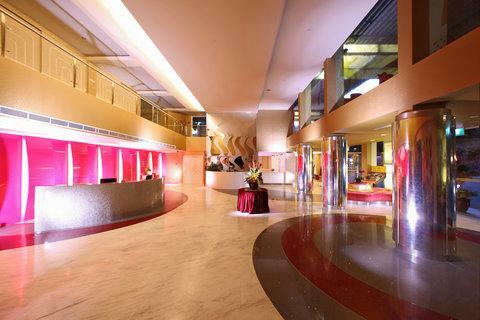 Set in Singapore City Centre, Park Hotel Clarke Quay is within an easy walk of Singapore River. It is ideally located for guests wanting to sightsee in the area. This trendy hotel offers an executive floor, 24-hour room service and a coffee bar. It provides babysitting services, a currency exchange and a reception that operates 24/7. Just moments from nearby bars and clubs, this 4-star hotel also allows guests to easily discover the local nightlife. Every trendy room at Park Hotel Clarke Quay comes with a mini bar and slippers, and the bathrooms feature hair dryers and bathrobes. They provide bottled water, a flat-screen TV and a seating area. During their stay at Hotel Park Clarke Quay, guests can enjoy a meal at Brizo, which offers international and seafood dishes. A wide selection of cafés and restaurants are also found in the area. Set in Singapore City Centre, this modern hotel offers guests meeting rooms, luggage storage and free Wi-Fi. It offers 4-star accommodation with air-conditioned rooms. This stylish hotel provides a concierge, porters and a 24-hour reception. Guests can enjoy on-site parking. The hotel also has its very own gym, Re!Charge Fitness Gym. Hotel Re @ Pearl's Hill provides 140 rooms, each fitted with slippers, a flat-screen TV and tea and coffee making facilities. Also included in the rooms are a hairdryer, an in-room safe and an ironing board. The hotel's restaurant, Re!Fill, serves international cuisine. A wide choice of cafés and restaurants are also found in close proximity to the property. Hotel Re @ Pearl's Hill provides easy access to Singapore River. Robertson Quay, The Majestic and Clarke Quay are each within walking distance. Location is again one of the best - "Orchard Road"
This peaceful 5-star hotel is situated in Singapore City Centre and includes a Jacuzzi. It also provides a swimming pool, a sauna and outdoor tennis courts. 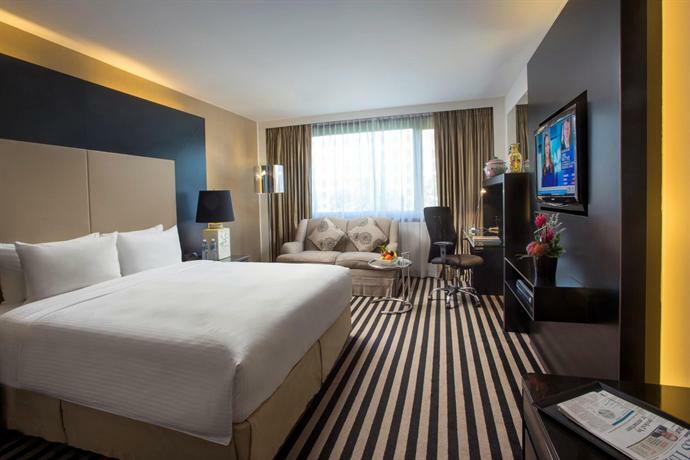 Rooms at The Regent Singapore are relaxed and air conditioned, and provide a refrigerator, a spa bath and a mini bar. Hot drinks can be brewed with the complimentary tea and coffee supplies, and savoured in the comfort of the room's living area. The bathrooms feature a shower and provide bathrobes, luxury toiletries and a hair dryer. Every morning, guests can sit down to breakfast at Basilico or Summer Palace. Each evening, guests can relax in the comfortable lounge bar. Hotel in Regent Singapore is surrounded by the area's sightseeing attractions, and ION Orchard, The Orchard Residences and Orchard Road are also close by. Changi Airport is within a 25-minute drive and the hotel provides a shuttle service. Review rating of 9.2 - almost 10. HIGHLY RECOMMENDED, if that fits your budget. Situated in Singapore City Centre, Raffles Hotel Singapore is renowned for its 5-star comfort and service. It has a golf course, a sauna, a swimming pool and a Jacuzzi. Guests can enjoy a range of massage treatments and beauty therapy at the on-site spa, Raffles Spa. Relaxation facilities include a beauty centre and a Turkish steam bath. Guests can also cool off in the swimming pool and enjoy a drink at the poolside bar. Spacious and elegant, rooms are equipped with free Wi-Fi internet access. Each offer a refrigerator, a spa bath and a mini bar. Those staying at Raffles Hotel can indulge in a drink at Long Bar, before savouring a meal at Tiffin Room. Room service is available 24 hours a day, and a large variety of eateries can also be found close by. Places of interest close to Raffles Singapore include Singapore River, Marina Bay and Bugis Street. Guests can also visit Clarke Quay, Suntec City and the Sir Stamford Raffles Statue. Sofitel Singapore Sentosa Resort & Spa is located on Sentosa Island and provides 5-star accommodation as well as a Turkish steam bath, a free shuttle service and outdoor tennis courts. It also offers free private parking on site and Resorts World Sentosa and Universal Studios Singapore are a brief car trip away. Those staying at the resort can start their morning at So SPA, or use the various leisure amenities, such as an outdoor pool. In fine weather, the local area can be explored by renting a bicycle. All the elegant rooms at Sofitel Singapore Sentosa Resort & Spa provide slippers, plus all the essentials for an enjoyable stay. They feature wireless internet access, ironing facilities and a flat-screen TV. Hot breakfasts are served at Kwee Zeen and The Garden every morning before guests venture off to explore the local area. The resort enjoys an ideal location, allowing guests easy access to a range of popular attractions. It is also a brief car ride from Marina Bay Sands Casino, Marina Bay and Singapore River. 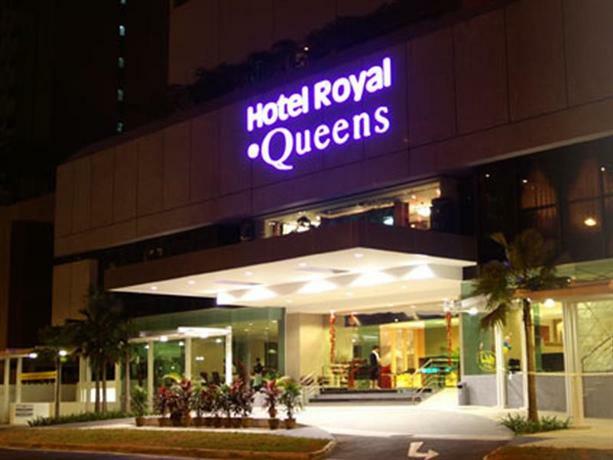 Hotel Royal at Queens provides 4-star accommodation in Singapore City Centre. It has a gym, as well as a sauna, a Jacuzzi and a swimming pool. The rooms at Hotel Royal were renovated in 2007 and have a mini bar, a spa bath and a refrigerator. Private bathrooms are equipped with slippers, bathrobes and a shower. Hot breakfasts are served at Grand Banquet and Queen every morning before guests venture off to explore the local area. Guests are also able to try one of the many bars and cafés in the vicinity. Hotel Royal Queens in Singapore has easy access to Singapore River. Suntec City and Bugis Street are a short walk away.